I sat at my desk last week a different person to the one I was just a few months ago. Butterflies fluttered around in my stomach and felt like I was tiptoeing on clouds ready to leap off a cliff at the same time. KK and I have successfully started our own small business. We are officially entrepreneurs! No one around me noticed the change (or perhaps panic in my face). People are busy and there’s very little time nowadays for anyone to stop and check-in on one another. It’s a pity because I’m not the only one standing at the edge of that cliff. As I gazed around the desks, it dawned on me that I would not be where I am today had it not been for many of my colleagues. Their support, friendship and lessons over the years has grown me into the person I am today. Pulling this off would also not have been possible without all the skills I had picked up during my 15 years of service at Standard Bank. I’ve learnt the power of networking. Of relationship-building. I understand the brand and how important it is to be true to what it is I’m selling. I know how to assess the market & be aware of my competitors. I’ve picked up key skills such as negotiation and buy-in. I guess what excites me the most is the social media and engagement with potential customers. I’ve also been taught that while the good times come, so do the bad and that it’s only by putting hard work into something that you see success. Most of all, I’ve learnt patience. Things happen when the time is right. The view from the 4th floor of my office. Development is happening all around me. As the bank grows, so do I. The courses I go on, the people I interact with. All of it adds to moulding me into a cleverer thinker, to be more strategic and constantly have a business-like mindset to every decision I make. The more I grow at work, the more my business benefits. And because I’m eager to make a success out of both, the more effort I put in. It’s a win win situation. I did not start 2013 off with a bag of New Year’s resolutions like I always do. 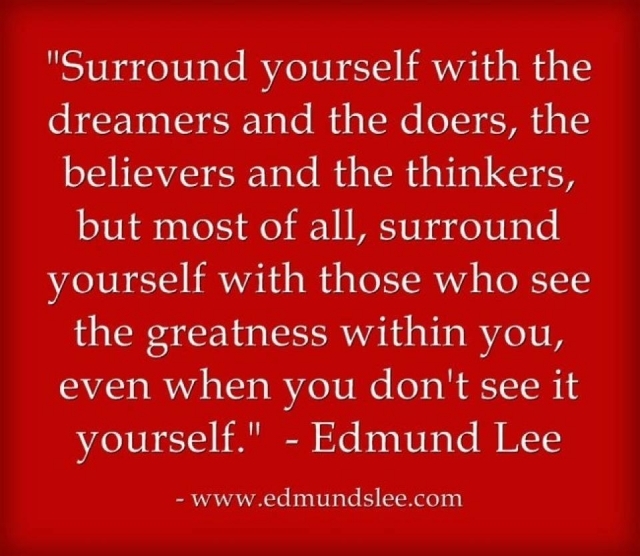 I decided that this year, there’s only one thing which I will focus on: It’s to ensure I surround myself with positive people, those that want to see me succeed and those that encourage me to reach my goals. In 2010, I did not make the Two Oceans 3 hour half marathon cut off time. I missed it by 6 minutes. I can still remember the route clearly and the sections where I struggled most and desperately needed that extra push. But instead, I was surrounded by “supporters” who let me down. You see, running at my pace of 8mins/km, I’m typically at the back of the pack surrounded by the backmarkers and walkers. It’s not usually a big crowd but stragglers who are huffing and puffing. On this particular day, as I was running along, desperate to make up time, I passed many people standing along side the route who did not realise that whatever they said was heard by every runner passing them. I let it all get to me and it was very difficult to push myself being surrounded by these negative statements. I allowed myself to believe what they said, and I gave up. By the time I reached University Drive and KK came running down to meet me, I did not have enough energy to give it that extra push and try beat the clock. I just cried. I did not make it. No medal. DNF. When I look back now, I realised that it was my own fault. The lesson for me is that I should not have listened to them. I should’ve believed in myself and pushed myself. I should’ve drowned them out with the supporters that were cheering me on, wanting me to have a good race. But in life, how easy is to allow the naysayers to break your spirit. How often do we listen to people who are negative and do not believe in us? We allow them to plant those seeds of self-doubt. We end up not believing in ourselves. So in 2013, at work, at home and especially during the races, I will seek out those ‘supporters’ who cheer me on. The ones who believe in me and get me to that finish line so that I reach my goals! Here’s to a fantastic 2013! The last time I stopped to assess where, what and how my life was going was in March. It feels like ages ago and as Spring has arrived, I thought there is no better time to do it again. My body: With the hope of losing 7 kgs before December, it came down to me going back to Melanie (read: saviour dietitian) in July to get me back on track with my eating. After two consultations, I have managed to lose over 1kg. It turns out that eating salads every day is not that bad, especially when I’m able to load it with my new favourite item – tomaraisins! Plan of action: keep up the good eating routine. I have also stuck up a picture of myself on my desk. It’s a picture from 2010 when I was happy with my body and where I want to get back to. My work: Can it get any busier? Busy is good but I do find there are some things which I am never getting to. Research, new trends, networking… All these types of activities have pretty much taken a back seat while I struggle with what feels like mostly admin on some days. Plan of action: Realise that the admin needs to be done but to find time for other stuff. My home: It feels as if everything in my house needs work. The curtains need cleaning, bedroom carpets need washing, the pool needs to be fixed, the garden needs pruning, the water feature needs to be replaced. The big problem is that there is never enough time on weekends to get to most of these chores. Plan of action: Write up a to-do list and prioritise what needs to be done. Decide on what’s really important in life. My time: KK and I have bought bikes. 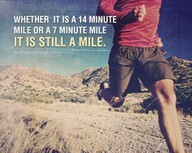 For anyone in to sport, just that statement will explain everything. Riding takes up so much extra time (and money) compared to running. The problem is that even though we do most of our hobbies together, it has taken a lot of time away from some of the other things we used to do together. There is also less time for chores around the house. Plan of action: Make time! Even if it means sitting together with a calendar and booking time out. My running: I took a break during Winter mainly due to foot injuries, flu and … well, to be honest, I hate running in the cold. But as Spring has set in, I’ve started to run a regular 5km route on Tuesdays and Thursdays. 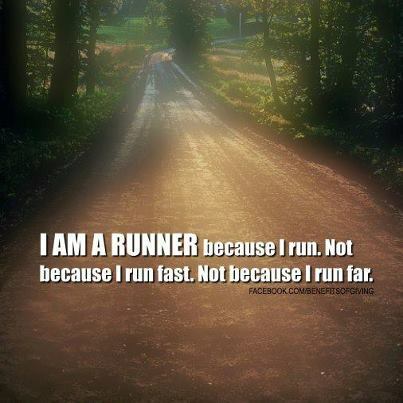 I’ve also run two 10km races. I feels great to be back! Plan of action: Stick with it and enjoy! If I look at my list and review all these areas, the one major theme stands out: TIME. It’s become a real commodity lately and can truly make such a difference to my life in terms of the goals I set for myself. Thank-goodness I am still finding time to run. That’s a good thing, right! The next time I look, it will be Christmas. *gasps* – 119 days to go! When you work in a corporate environment, you come to realise that stress, politics and work pressure are part of everyday life. I have found the past few months particularly tough, not only for me, but also for my colleagues. I have searched for many ways of encouraging them. Out of desperation, I have even proposed a rather cheesy idea to the head honcho of the department, hoping it would bring a spark back to people’s faces. But no luck. When people are down and demotivated, it’s very difficult for them to see anything positive in whatever you do. But something magical happened today. Something unexpected. It snowed in Jozi. At first, staff would casually walk up to the windows and look down. But as it became heavier and heavier, excitement grew and more and more people gathered together at the windows. It took one person to say, “Hey! Let’s go outside and play in the snow!” for everyone to grab their jackets and head on out. The excitement and giggling was electric. What a sight to see hundreds of people from other departments all with the same idea, queuing at the ‘cattle gates’ to get passed security and out of the building. Once we got out, we laughed and giggled and stood in the snow with massive smiles on our faces. I looked around and saw colleagues having fun. I saw them laughing and hugging and taking photos of each other and acting silly. We were like kids! We didn’t care if it was cold and we didn’t care how wet we were getting. It was awesome. But for the 5 minutes we stood out there, it was as if all the problems disappeared. I realised that the snow was for me, more than them. You see, although I’ve been part of a project team where the focus is on “people” and changing that cold, hard corporate culture, I have also felt incredibly ‘responsible’ for their happiness in the office. It’s been a bit of a burden on my shoulders and a lot of my stress has been frustration in not seeing a change in culture and a vibe remaining so negative. But today was different. Today came out of nowhere. The lesson I learnt was that laughter and fun will come at the most unexpected times. But also, that sometimes, I’m not the one that will bring about the change. I just need to be present. But most of all, I need to start laughing too!